Non-shear & powerful industrial food agitators from Pulsair. The optimal process for primary food blending and mixing. Mixing two or more base liquids together for the first time. As well as adding flavoring, stabilizers and other additives can be quickly accomplished using large burst of compressed air or any inert gas using Pulsair. Tanks of any size can be quickly mixed and blended in a matter of minutes. 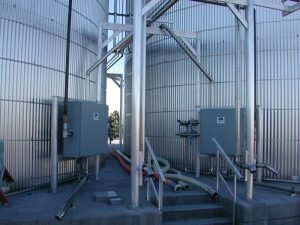 Our industrial food agitators are independent of the viscosity of the liquids involved – as long as the bubble will pass through to the surface, the product can be quickly mixed. The Pulsair mixing process is sanitary and Pulsair offers a wide range of mixing solutions for any type of liquid or any type or size of tank.